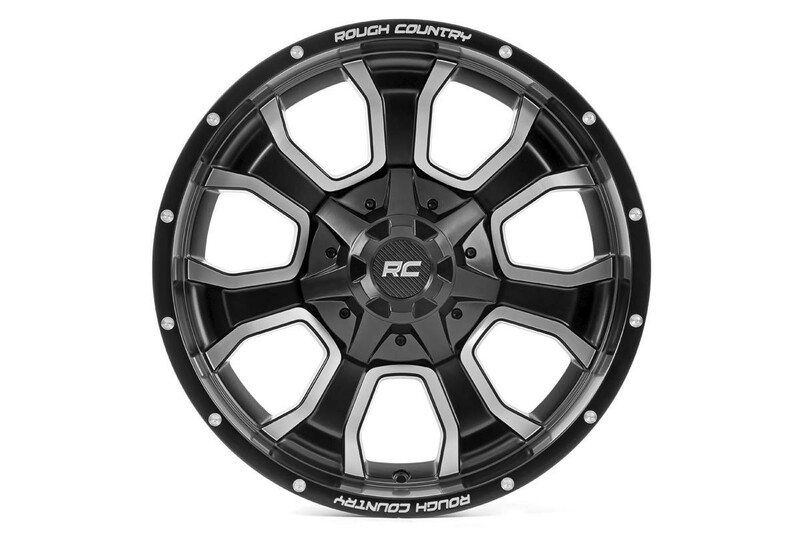 Set yourself apart from the pack with Rough Country’s One-Piece Series 93 Wheels. 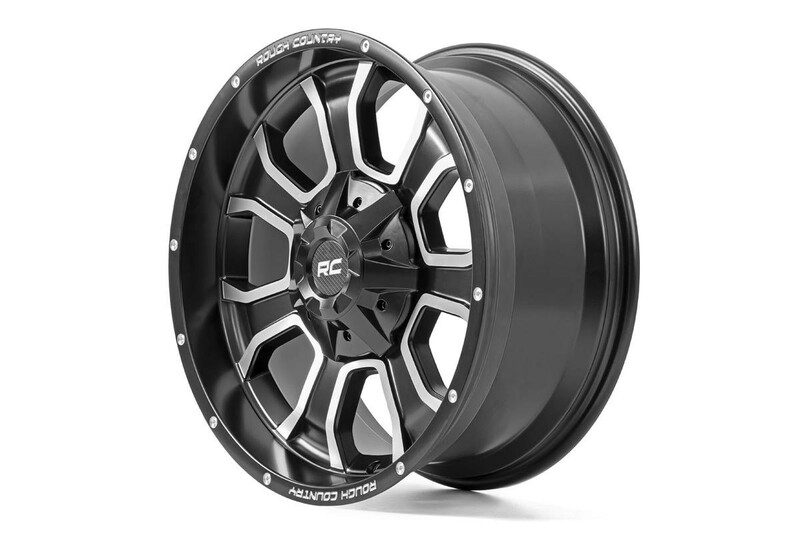 This 7-spoke black and machined wheel offers an incredible look that’s sure to turn heads. 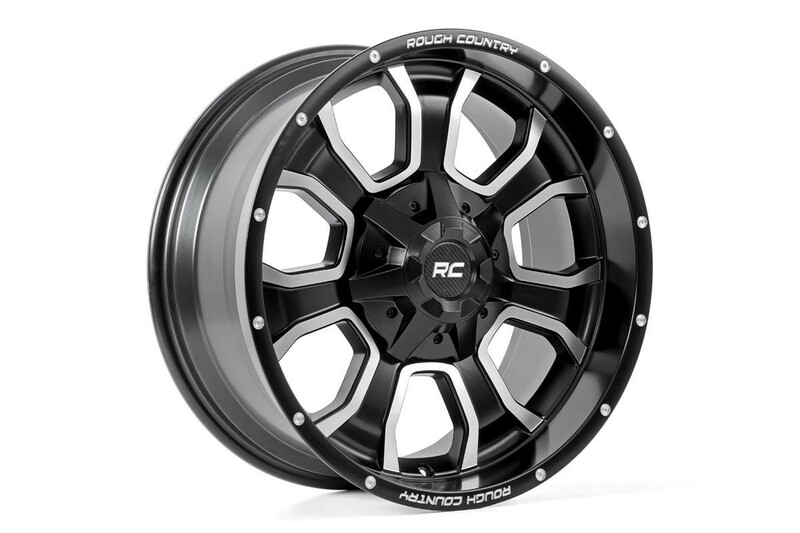 This one-of-a-kind wheel features 7 spokes that flare out near the lip for a dramatic visual style that’s perfect for any lifted vehicle. 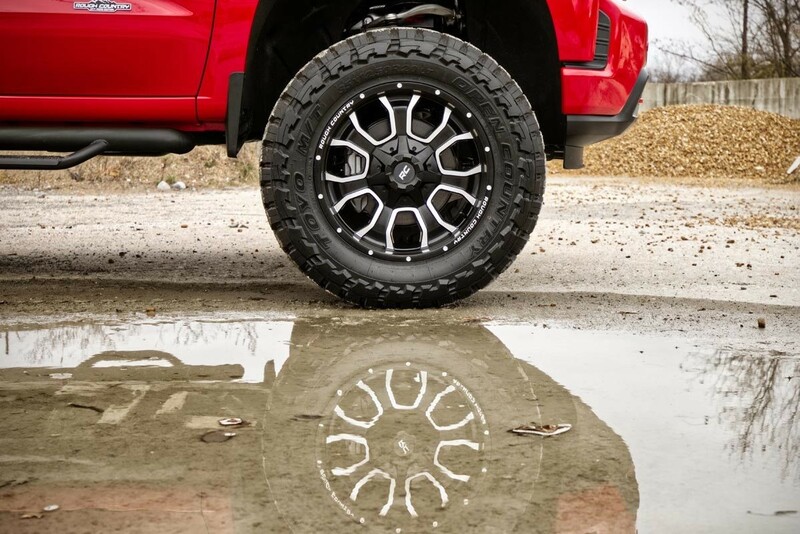 This stylish wheel features a gloss black coat with machined accents that pop under any truck or Jeep.